Hologram stickers, bags, and Ubuntu LiveBoot CDs are currently 10% off. Every order includes FREE SHIPPING to anywhere in the world. The bitcoinpaperwallet.com generator now generates Litecoin addresses as well as Bitcoin and Dogecoin, with options for BIP38 encryption and self-supplied random keys. Read everything here to make sure your wallets are secure. For improved security, run the wallet-generator.html file on your own computer istead of this website by downloading this ZIP package from GitHub. Option to supply own keys by rolling dice, shuffling cards, using a vanity address, or even "brain wallet"
QR code camera scanner makes it easy to verify (or even duplicate/convert) existing wallets. What kind of printer and paper should I use? How do I add bitcoins to a paper wallet? How do I withdraw/spend them? How does BIP38 wallet encryption work, and should I use it? What is the Ubuntu LiveCD for? How does it work? How do I scan QR codes with my camera? Attention: For a limited time, SPECIAL Litecoin hologram stickers are available for purchase. 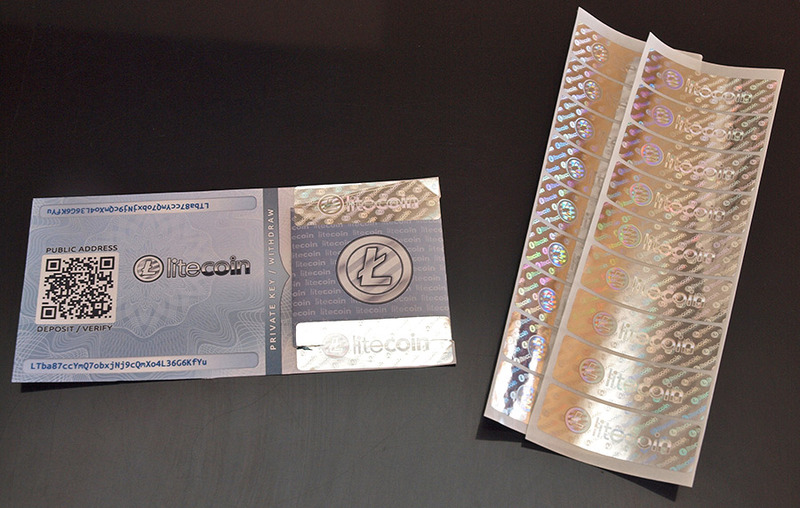 These feature the Litecoin logo within the hologram itself. However they do not include serial numbers. For holograms with serial numbers, order "plain silver" holograms instead. © Copyright 2014. 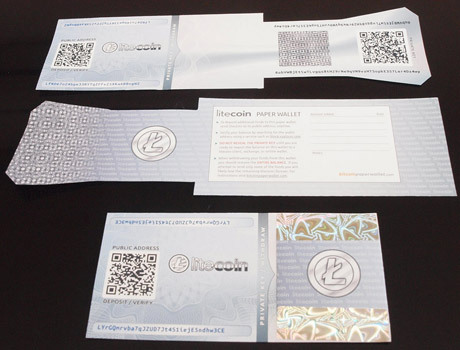 The content on this page is released and licensed under Creative Commons Attribution 3.0, which means that you are free to distribute, use and modify it for any personal or commercial purpose provided that you include an obvious link back to bitcoinpaperwallet.com.